CDF Talk (Institute Speech) is an innovative speech event launched by the 20th China Development Forum. The theme of the event is "My Future with China". Twelve representatives from Chinese and foreign outstanding people are invited to share their stories with China. In the first issue, please discuss with Baidu founder, chairman and CEO Li Yanhong "China changes technology." In China, we must make full use of the advantages of data, the advantages of the scene, the advantages of talent, the advantages of capital and the advantages of infrastructure, and push innovation forward. These innovations can be used not only by China, but also by the world. Through big data, we can create big opportunities for China to contribute technology that belongs to the world. The topic I want to talk about today is called "China changes technology." If we talk about technology changing China, you may find it more obvious. 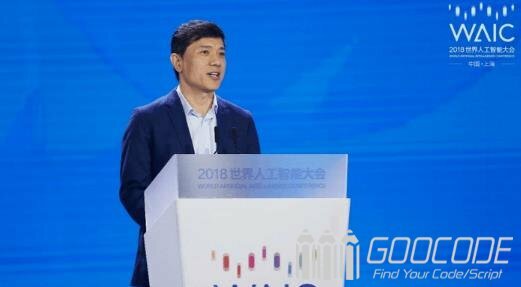 Indeed, in the past 40 years of China's reform and opening up, people's lives have undergone great changes, especially in the past 20 years, China has been constantly changing by computers, the Internet, and smart phones. However, when we look back at the development path today, we also see that in a certain sense, China is changing the direction of world science and technology. There is some data here that everyone can see. The number of patent applications in China has now ranked first in the world for five consecutive years. The number of AI papers now accounts for 25% of the world, and the number achieved is also the highest among all countries. The financing of artificial intelligence accounts for more than half of the world. We have also seen that many new start-ups and entrepreneurial companies have emerged in China in recent years, and many of them are very large. They have gradually begun to demonstrate their competitiveness in many different vertical industries in China. Therefore, it is very exciting for China to adopt science and technology today, whether it is investing or gradually showing its potential. I have seen a data some time ago that China’s total R&D investment this year will account for 2.5% of GDP. The United States seems to be 2.7% or 2.8%. This data is relatively close. In the early days, we were only about a few tenths of a percent. Today, the overall investment in R&D in China is actually increasing rapidly. What reminds me of this? It was 20 years ago, 20 years ago, at the beginning of 1999, when I was working in Silicon Valley, I wrote a book called "Silicon Valley Business War." After I worked in Silicon Valley for a few years, I also experienced the early days of Internet commercialization. Some companies in Silicon Valley, including some companies in other parts of the United States, competed and cooperated with each other to make various innovations. I was particularly excited about it. I sorted out these things and wrote a small book written in Chinese. From 1994, the earliest browser Netscape went on the market, and later the portal wars, e-commerce, search engines, and some traditional IT software companies, telecommunications companies, media companies continue to join, these years around the development of the Internet in Silicon Valley A lot of very interesting things happened. When I wrote this thing at that time, it was actually not to say how much it was published, but more to record it like a diary for future reference. What is your future reference? At the end of 1999, I decided to return to China to establish Baidu. Since then, I have put this book on my desk for many years. This is because, I feel that any problems and difficulties encountered in the course of starting a business can go through this book for reference. I have to take a look at the problems I have encountered in the past, in the United States, in Is there any other company in Silicon Valley? If they met, how did they solve it and what was the final outcome. In the course of many years of entrepreneurship, I still often read this book. I don't think I am a case. Many of us, whether in the United States or in China, feel that the United States is our tomorrow. What has happened in the United States, it will happen in China. But 20 years of entrepreneurial experience tells me that this is not exactly the case. Today China has developed a lot of unique things. We have seen that China's mobile payment is already the largest in the world and is very popular. China's O2O is also much more penetrating than the US. Not to mention the e-commerce in China. Today, each of us can go without a wallet, and it’s okay to go out and spend it. What kind of restaurant we basically have at home can be ordered at home and can be delivered soon. Our online shopping is also very popular. It is not unusual for everyone to place an order in the morning and receive the goods in the afternoon. This is because China's logistics distribution is also very developed, not only in first-tier cities, third-tier, four-line, and fifth-tier cities. In fact, online shopping has become very popular. We see China's shopping festivals, such as the Double Eleven, which has a total volume of seven times that of the US Black Friday and is still growing at a relatively high rate. I think this is just the beginning. In fact, there are more activities than the double eleven. what activity? It is the Spring Festival Evening Red Packet. The Spring Festival Gala is a program watched by more than one billion people. A must-have item for the Spring Festival Evening in recent years is that everyone uses a mobile phone to shake red envelopes. This red envelope is a very simple action for the user and the ordinary audience. But when hundreds of millions of people pick up their mobile phones at the same time, the support of the Internet platform behind them is nothing less than a tsunami of data, which is very unbearable. At the peak, about one million requests a second, about 15 times the peak of the double eleven. Such a large flow, such a sharp peak, in the past few years, actually across every Internet company involved in the red envelope activities, will take the opportunity. This year's Spring Festival is Baidu and CCTV to cooperate to do this red envelope activity, so I gave the team a request, that is, do not take the opportunity. This requirement sounds simple, but it is very, very difficult to do. The data that everyone sees is never seen in the world, such a high traffic, such a large load. Our thousands of engineers have fought for more than a month, and finally it is guaranteed that it has no downtime. This includes a wide range of optimizations and a variety of expansions. For example, we have created a record that physically put 10,000 servers into the data center within 8 hours. In those days, it was probably from the server manufacturer to the Baidu data center. On average, every 100 kilometers of the entire highway was carrying these servers to Baidu's data center. At the end of the rack, the elevators in the data center were damaged. The elevators were not working. Our staff had to move them by hand, so that one station put the server on the rack, so that it was guaranteed. The last spring evening is a silky, uncompromising, red envelope experience. Such a peak, I believe that there are never other scenarios in the world that allow you to experiment, let you do it, which makes our engineers, our technicians have the opportunity to practice, and have the opportunity to innovate. So in many places in China, because of its uniqueness, it can make a different technology. A good example is the autonomous driving technique. In fact, this technology was launched earlier in the United States, but in 2017 we made a move. In March and April of 2017, we announced that Baidu's autopilot technology is open to the public. We are not only open, but also open source, that is, the source code is all public. I think this is a contribution of China to the world of autonomous driving technology. Before that, each family has their own, you have to have me, so I will do it again from the beginning. Baidu has been developing autopilot since 2013, and we feel that there is no need for every startup to reinvent the wheel. So we decided to open this technology open source. It is not only open to China but also open to the whole world. Today we have more than 130 partners and tens of thousands of developers in the open ecosystem of Apollo. Of course, autonomous driving in China also has its own characteristics different from those of the United States. Because we realize that the automotive industry is not an independent industry, it is part of a big transportation problem. These cars running on the street cannot be turned into unmanned cars overnight. For a long time, the roads will mainly be manned cars. This requires us to do the road coordination, even in the environment of cars without automatic driving ability, we must also find ways to improve the efficiency of travel. For example, like a traffic light, automatically adjust the traffic time, we can calculate the traffic efficiency by 30% to 40%, which will have a very good reduction effect on congestion in big cities. At the same time, we also feel that before we can fully autopilot, we can implement some scenarios first. For example, parking in the basement, the parking space may be very narrow, people can not stop when they are not skilled. But letting the car do such a thing is relatively easy, because it is in a low-speed environment. Similarly, in some closed parks, completely unmanned driving has been achieved. In many scenarios, we can use technology to improve efficiency and bring people a better experience. Therefore, Apollo is not only an autopilot platform that is open to the world, but it also gradually reflects the characteristics of China. China is difficult to replicate in many other parts of the world in many scenarios, and we can use these scenarios to push technology to a more advanced position. After talking about autonomous driving, I want to talk about smart home again. This is also a very hot track. In fact, there are many families in the United States who have bought smart speakers. So what is China's different place in this respect? In January 2017, at the CES in Las Vegas, USA, we launched a smart speaker with a screen. This screened smart speaker is about half a year earlier than the US. Just last month, in February, the small screened smart speakers at home, the sales volume has exceeded the shipment of small screen smart speakers. This is a very meaningful thing. With a screen and no screen, the feeling is very different. Although the screen is expensive several times, it can do a lot more. It is a step closer to the intelligent assistant and from the conversational artificial intelligence. As we all know, China's information flow is very developed, and various kinds of information are personalized to users through algorithms. This service is mainly on mobile phones. Today we put it on the smart speaker with screen, this kind of thing is also a unique place in China. Of course, in many other scenarios, we also have a lot of innovations. For example, when you are in the car, we have a car bracket, clip your phone to this bracket, you can use the voice to control the phone, no need to start. When driving, the hand is actually busy, the mouth is idle, and everything can be manipulated with voice. Another example is the new hardware "small" smart TV companion that we released last month. It looks like it is a big speaker, very long. But it can turn a traditional non-internet TV into an Internet TV for a second. As long as you connect this speaker to the TV, it becomes a smart TV, and all the functions on the Internet can be realized. On the other hand, you can turn a huge screenless speaker into a huge screened speaker in one second. This screen is the screen of your TV. These are some of our innovations in smart homes. There is also what we call Endless Conversation. Most of the smart speakers are now, or the assistants in the conversation are basically a question and answer. You ask it a word. You said what the weather is like today, it will tell you how the weather is today. You ask it 3+5 is equal to a few, it will tell you a few. But we feel that the real conversational artificial intelligence should be multiple rounds. In addition to answering your questions, it can also ask you questions, and it can recommend other related topics to you. This kind of question and answer can be carried out for many rounds and can last for a long time. This technique is very difficult, but we have gradually implemented it into a small amount of intelligent hardware. The above is about smart home. In fact, there is also considerable room for innovation in services for enterprises. As we all know, China is a big manufacturing country. The biggest pressure we face today in economic growth is how the so-called real economy can be transformed and upgraded. How can it be driven by innovation and how can it be intelligent? Here, we think that the role that artificial intelligence can play is also very obvious. for instance. Nowadays, many 3C products require human eyes to inspect the quality of these parts during the assembly process, and many of them are very small. For example, the components of the iPhone assembled and plugged in are very small, and it is a very difficult task to ask the naked eye to see if it is a quality pass. In general, skilled workers have to rest for two hours. And we use computer vision to make a machine that is both soft and hard. One device is equivalent to what ten skilled workers can do, and its quality is still higher than manual. Of course, the floor space is also less than people do. If China is a manufacturing power, if we use smart methods to improve its efficiency, this space will be very large and the demand will be very strong. I forgot what Marx said or Lenin said, saying that once the society has a demand, it will be bigger than the promotion of 10 universities. Therefore, I feel that in China, in the transformation and upgrading of the manufacturing industry, it will be very obvious. In fact, not only the manufacturing industry, but all enterprises are facing the transformation and upgrading, the innovation drive, and they all face the problem of improving efficiency. In the past, China’s labor force was cheap and labor was cheap, so instead of buying a piece of software, it’s better to hire a few more people. In the past, bosses did not use smartphones and did not use the Internet, so his acceptance of these new technologies was very low. But in the future, they will use this new technology to improve efficiency in this area, either actively or passively. One of the more obvious directions we call it customer relationship management, which is CRM. Customer relationship management (CRM) is actually a mature thing in the traditional software field, and each company buys a set of software on its own. However, in China, we have the advantage of latecomer, we can do a social customer relationship management, and the various media-oriented launches can be unified, and the supply chain can be shared in the background. Multi-party collaboration and open sharing will be an important direction for the development of China's customer relationship management in the future. Everyone sees that many things are different in China. The reason is different because China has scale. I was born in Yangquan City, Shanxi Province. This city is actually the smallest prefecture-level city in Shanxi. The population is about 1 million people, but if compared with the United States, such as San Francisco, it is 1.6 times that of San Francisco. We have seen that in any scene in China, the scale of any place is quite large, and there are many people. When we have enough scenes, when we have enough data, when we have enough talents, when we have enough developed infrastructure, many innovations will first appear in China. In China, we must make full use of the advantages of data, the advantages of the scene, the advantages of talent, the advantages of capital and the advantages of infrastructure, and take this innovation one step further. These innovations can be used not only by China, but also by the world. Through large-scale, big data, create great opportunities for China to contribute to the world's technology.